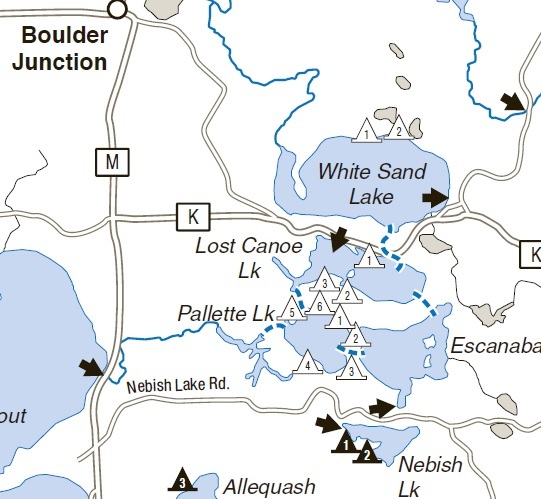 Details: Join me for a mini BWCA type weekend trip on some small Wisconsin lakes. This will be a paddle camping/portaging trip. The 'Lost Canoe Lake' area lies nestled within the vast 'Northern Highland -American Legion' State Forest of Wisconsin. Friday May 27th will be a travel day to base camp at N Trout Lake State Forest Campground.